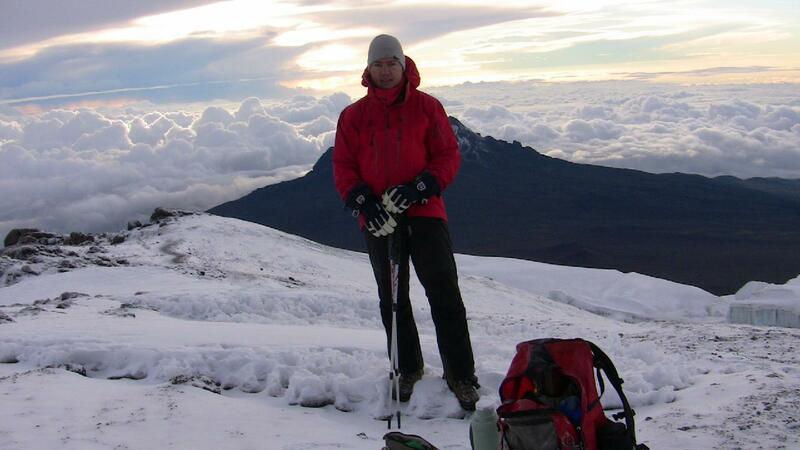 This route is not more technical than the famous Coca-Cola route that most people do, but it is the longest route, virtually taking you from one side of Kilimanjaro to the other. I really enjoyed this trip to Tanzania, and I will strongly recommed this route to other climbers, to enjoy it even more then add one extra day to the climb. I had heard so much about the snow melting away, so I was pleasently surpriced about the amount of snow up there, and we had fresh snow the night we went for the summit. The ascend started saturday morning when we left camp 4 at 4000 meters at 09.45 and trekked to camp 5 at 4600 meters, ate and slept Saturday evening we get ready at 23.00, and exactly 24.00 we push for the summit. and we reach the summit at 5900 meters at 06.30 So we climbed the last 1900 meters in less than 21 hours.